Downtown Littleton has grown a quite a bit over the years. You can find many neighborhood shops and it has a cozy small town feel. There is a good chance you will see several people walking their dogs around the streets of Downtown Littleton. This area has an array of pet-friendly shops where you dog will be welcome to join you. 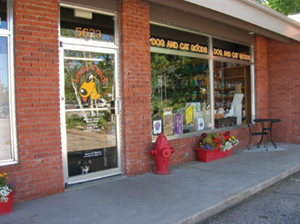 Lewis and Bark is a pet boutique located in the heart of Downtown Littleton. They carry a wide range of products for dogs and cats. They specialize in natural food for dogs and cats, toys, bones, accessories and more. They carry products from popular brands including Kong, Solid Gold, Canidae, Earthborn, and Ruff Wear. They are open Monday through Friday from 10 AM-7PM and Saturdays from 9 AM-5PM. Spur Coffee is located right across the street from Lewis and Bark Dog and Cat Goods. 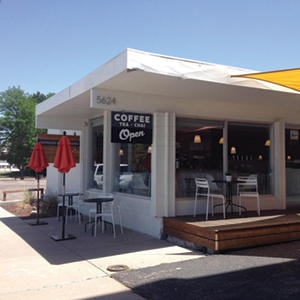 This neighborhood coffee shop offers espresso, tea, and pastries. They also offer free Wi-Fi and have a patio which allows dogs.